But last year I surprised myself because I actually changed. I really did and it was an amazing adventure. Last year I finally kicked an addiction that’s been hounding me for over 30 years. During those three decades of addiction I quit the habit many times but always took it up again, sometimes after years of stopping. Of course I could cave in and take the habit up again (I’ve only been free of it for 11 months now) but somehow I’ve got a feeling that this is it. That finally I’m in control. The wind of change has come, blown some persistent cobwebs away and spring cleaned my psyche. That change has come through mindfulness, by becoming aware of my feelings and thoughts and starting to recognize them and label them as fleeting thoughts like the ones above, or feelings that, although uncomfortable or painful at the time, won’t last forever. That’s an amazing lesson to learn in your mid-forties and one which I’m teaching my kids now so that they’ll be able to deal with the slings and arrows of adult life without being prone to depression or addiction in its many possible forms as I have been. Since the age of 13 years old I’ve spent so long numbing my emotions that now it’s hard to even notice them and know what they are. But I’m learning to recognise the messages my body sends me, like a tightening in the jaw, a lurch of the stomach or a hardening in my chest and label them as anger, fear, shame or whatever they may be. I’m learning to let those emotions be rather than try to deaden them. This willingness to experience my emotions and deal with them in a healthy way is such a huge change that it still amazes me that I’ve made it. I’d read that the brain is plastic and can change. I’d heard that even people in their seventies can change their brain by retraining it but I didn’t think that applied to me. I’d given up hope. Having read a bookshelf of personal development books and tried persistently to change but failed repeatedly I thought I was so stuck in my ways that I could never change. But I have changed, and not just because I beaten a chronic addiction, although that’s a concrete expression of how improved I am. My relationships have improved, my self esteem has returned and I’ve recovered from a bout of depression without taking anti-depressants too. For the first time when the year came to an end I feel like I didn’t just grow older, I also grew wiser. So how did I finally bring about this change? I’ve had help in the form of private therapy and group therapy but I’ve also taken responsibility for myself. I’ve been reading about mindfulness and meditation and practicing them on a daily basis for nine months now. In many ways I feel as if mindfulness has saved my life. On good days it’s brought back my inner peace and joie de vivre and it’s helped me cope with the inevitable bad days without getting caught up in those self-destructive thoughts. So even if you think you’ll never change please know that you can if you really want to and if you really work at it. If you understand how change is possible through mindfulness and make the effort to work on it every day for months on end. So I hope that this blog post and the books mentioned below will bring you hope that you can change. You really can change. I did and I know you can too. Sometimes our thoughts are our greatest enemy but mindfulness can chase them away and bring the lasting change that you’ve always wanted to see in your life but never before though possible. Of course I still mess things up. I still get anxious and deal with fear on a regular basis. I still have bad thoughts. But now I know they’re just thoughts and instead of making me despair they make me laugh because I can see how ridiculous they are. Daniel Siegel M.D. is a clinical professor of psychiatry at UCLA School of Medicine. Mindsight explains what neuroplasticity is and how it’s possible to change your brain. It includes examples and exercises to get you started and really helped me understand many of the psychological issues that have driven me throughout my life. Even if you’re not a parent The Whole-Brain Child will help you understand how your upbringing created the person you are today and how you can overcome that to change yourself for the better. This book demystifies childhood meltdowns and aggravation, explains the new science of how a child’s brain is wired and how it matures. it teaches you how, by applying these discoveries to everyday life and (if you have children) parenting, you can turn any outburst, argument, or fear into a chance to integrate your brain, or your child’s brain, to foster change and growth no matter how old you are. I’ve included books by Thich Nhat Hanh in two other blog posts on books about mindfulness and books that will change your life. The Nobel peace prize nominee is an amazing writer, true expert on mindfulness and all round inspiration. I’d love to do a retreat at his village in France. As usual when reading a book by Thich Nhat Hanh I noted heaps of quotes to keep me on track with my own mindfulness practice. I hope they’ll get you started with yours or keep you on track if you’re already practising mindfulness. “All of us need to have a spiritual dimension in our lives. We need spiritual practice. If that practice is regular and solid, we will be able to transform the fear, anger, and despair in us and overcome the difficulties we all encounter in daily life. The really good news is that spiritual practice can be done at any time of the day; it isn’t necessary to set aside a certain period exclusively for “Spiritual Practice” with a capital S and capital P. Our spiritual practice can be there at any moment, as we cultivate the energy of mindfulness and concentration. Please note this is something I’m aiming for in the future. The Candy family is a long way from mealtimes like this but at least I now know change is possible and hope we can get closer to this vision in the future. “Let breakfast be a time of relaxed and and quiet happiness. Don’t read the newspaper; don’t turn on the television; don’t listen to the radio. Sit up beautifully, and look at the food on the table. Look at each person sitting there with you, breathe, and smile as you acknowledge and appreciate them. “If we have too many worries, fear, and doubts, we have no room for living and loving. We need to practice letting go. “Breathing in, I see myself as a five-year-old child. Breathing out, I smile to the five-year-old child still alive and present in me. Breathing in, I see the five-year-old child in me is fragile, vulnerable, wounded. Breathing out, I embrace the five-year-old child in me with all my understanding and love. “This food is the gift of the whole universe: the Earth, the sky, numerous living beings, and much hard work. May we eat with mindfulness and gratitude, so as to be worthy to receive this food. May we recognize and transform unwholesome mental formations, especially our greed, and learn to eat with moderation. We accept this food so that we may nurture our sisterhood and brotherhood, build our community, and nourish our ideal of serving all living beings. 1. I’m angry with you, and I want you to know it. 2. I am doing my best to practice. Some of these verses might seem a bit woo woo but I like the idea of having rituals in my life and a reminder to practice mindfulness, to pause and to be grateful for the blessings that are all around me. “The Dharma body radiates this morning. In concentration, my heart is at peace. A half-smile is born upon my lips. I vow to go through it in mindfulness. our life is one day shorter. Let us look carefully at what we have done. putting our whole heart into the path of meditation. If you read only one of these quotes make it the last one. It’s a call to action to practice mindfulness and make whatever changes are needed so you can enjoy life right now. It’s a reminder that thoughts are just thoughts not fact and that we can create a better life for ourselves starting right now. Do you believe people can change at any age? Have you changed over the years and if so how? Have you had false starts in your mission to change? Now I’ve made these changes successfully I’m going to tackle another big change and try to end my lifelong addiction to chocolate. It’s a big task but I’m up for it and I’ll be keeping you posted here. Are you planning any changes this year? No matter how big or small they are we’d love to hear what changes you’d like to make over the coming year. Click here and subscribe now for free weekly updates, unique lifestyle tips that you won’t find on the blog and links to the best stories. 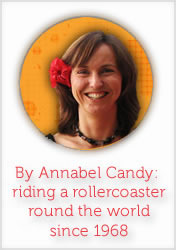 Beautiful and mindful post Annabel, what a wonderful journey. More power & love & laughter to you in 2014. I’m so happy for you, Annabel! I would say that some big changes happened for me in 2013 too – most notably shifting my relationship to fear. I adore mindfulness, of course! It can indeed save lives. Thank you Sandra that’s brilliant that we are all growing and changing for the better! thanks so much for posting this, Annabel. You are a great blogger who has helped more people than you know, even more now by writing this. Congratulations for presenting your thoughts in such an amazing way. I really loved the blog and the message that you have delivered. It is a real motivation for someone going through a tough phase. I have never heard of the books that you have mentioned, however I am gonna start with one of them. Hope I will be the master of my own in few years down the line. This post came at just the right time for me, as I have made 2014 The Year of Getting to Know Me. When I read “Since the age of 13 years old I’ve spent so long numbing my emotions that now it’s hard to even notice them and know what they are.” it was like you were speaking for me. Put simply, I’ve allowed fear to push them down and make me run away from them. Funny, they always seem to catch up with you, though. Some of your reading suggestions are going on my list, which grows longer by the day! Really, really found this helpful, Annabel. I’m starting my own journey away from an addiction, and have been wondering if mindfulness could help. I’ve just started a meditation routine, but wasn’t sure how to incorporate it. Will definitely check out your resources. Thanks!